This book arrived on my bookshelf courtesy of my mom. Mom was a music teacher, and she loved to incorporate literature in her classes. Everytime she went to an Orff workshop, she would come home with an armful of books! When she retired from teaching, she started bringing these books to our house, but only one or two at a time…she always thought she might go back to teaching, and then she would need her books! This first book starts off with the traditional verses to “Oh, A-Hunting We Will Go” and then the author adds new verses that children helped him write. The music is included at the end for you to sing! (I also sing the tune in my vlog below.) This book is a wonderful way to teach rhyme and rhythm to young children. This book arrived at our house via my mother as well. Steven Kellogg takes this folk song and completely changes and adapts it as a bedtime book. The children are told it’s time for bed. They begin the journey toward bedtime with their stuffed animal companions, and have a rollicking romp along the way! Steven Kellogg also includes a musical score at the end of this book, but he uses a different tune; “A-Hunting We Will Go” can also be sung to the tune “The Farmer in the Dell.” One of the joys of folk songs is the use of different melodies; the variations in the melodies; and the variety of verses and words. Folk songs are vibrant and alive; always changing and never the same, and this makes them so much fun! My vlog this week was filmed in the kitchen; however, this time I edited it (instead of my husband) and cut off the beginning! My family members will be disappointed that Emmy did not want to sit on my lap this time; she was too busy doing other things. If you look carefully, you will see her walk behind me at one point in the vlog. Have fun singing your books this week! 15 Responses to A-Hunting We Will Go! I can't watch the VLOG tonight since I JUST got the kids to sleep and I'm not risking waking them. But… I love that you have a collection of books that your mom brought over, too cool. We went to PA a few weeks back (my FIL passed away) and I found all of the books that Jamie's mom read to them when they were kids… I snagged some when nobody was looking. How fun to read your book in a vlog! I'll have to try that sometime! I looked at that book at the library. We didn't bring it home, but it is on my list to get next time. How wonderful! Toot loves loves loves books! Have a great weekend! Thanks for stopping by Milk N' Honey. 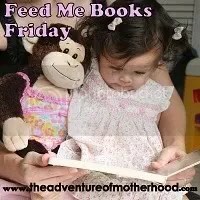 I love this book your featured! I love books you can sing and especially love John Langstaff's illustrations! We are especially fond of his version of Froggy Went a Courtin'Thanks for sharing the great books and for linking up! These look like great finds! Thanks for the recommendations! Thank you for the reviews and have a wonderful weekend. We love folk songs and books with songs. I attend a weekly Music Together class with my toddler son. It is a wonderful way to learn rhymes and rhythms. Wonderful! I am so excited to locate these books. My kids are getting very excited about music and this would be the perfect way to mix music with their love of books. Thank you! Ginny I love your video! You have a lovely voice BTW.I never thought of how singing can tie into language development. I'm going to look into that a little more. My son loves to sing and it may help him even more as he is ESL. Thanks so much for the idea!